The Women’s Sports Network has just launched a series of manuals to help teenage girls starting out in competitive sport to develop greater body confidence in parallel with sport-related skills. Targeted at clubs, coaches, schools and parents - and girls themselves. .
MoJoManuals are about 'Physical Literacy' - stable, confident movement around sport and in life. They also cover a range of other emotive issues such as: body image, diet, breast health, fit or thin, social media, training with menstruation, coach attitude etc. – which often impact how girls engage/drop out of sport – and potentially go on to be elite athletes and confident, mature young women outside of sport. 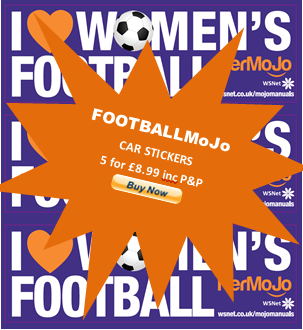 We produced our first ROWMoJo in January 2018 and now have FOOTBALLMoJo and LACROSSEMoJo – and are working on manuals for CRICKET, CANOEING, BADMINTON and NETBALL - and the story continues as we start to develop editions such as ‘MaMaMoJo’ etc. Not just Physical Literacy . . . In addition to Physical Literacy' MoJoManuals cover, diet, anxiety, menstruation, breast health & sports bras, sleep/rest, re-hydration, body image and social media. We are working with a number of expert contributors to develop central areas of this range of manual's. Bulk orders - a number of NGBs, Sports Federations and girls' schools have negotiated bulk purchase discounts. These offer big savings, particularly for organisations outside of Europe - please email jo.c@wsnet.co.uk for more info. Essential support, advice & guidance for teenage girls getting into competitive sport.Things that you can do at home, on holiday or when the weather 'stops play'. A regime of ideas to develop body confidence and help girls understand how best to overcome some of the challenges that sport brings AND how to grow that confidence into other areas of life. These manuals designed to help at schools, clubs, coaches parents - as well as the girls themselves. They are written such that the athletes can read at one level and adults at another - offering opportunity for discussion and development. Workshops - WSNet runs workshops for staff, pupils and PTAs on the MoJo methods - the ethos behind MoJoManuals - how they can help sport and also how to overcome 'fear of judngment', learning to fail better and take those siklls into everyday life. If your teams staff or PTAs would like a workshop - we don't chanrge BUT you need to make a bulk order for MoJoManuals. Please email Jo jo.c@wsnet.co.uk for more info. Please provide a few details of your experiences and some key views on coaching girls in your sport.